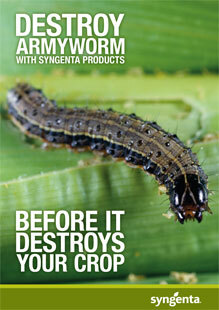 Despite what its name suggests, the Fall Armyworm is not a worm but a moth causing devastation in its larvae stage. The Fall Armyworm (Spodoptera frugiperda) mainly feeds on maize/corn but isn’t very picky, it can attack and survive on more than 100 crops in at least 27 plant families. How did it arrive in Africa and how far did it spread? The Fall Armyworm is a pest native to the tropical regions of South America and the Caribbean region, it is also present in some southern states of the USA. How it reached Africa is not entirely clear, but it likely travelled on board of freight ships or planes. The Fall Armyworm was first reported in South-West Nigeria in late January 2016 but quickly spread to almost all maize growing countries in Africa and reached South Africa in 2017. It has been officially identified in 11 countries and is suspected to be present in at least 14 other countries. Environmental and climatic analyses of Africa show that the Fall Armyworm is likely to build permanent and significant populations in West, Central and Southern Africa. Why is Fall Armyworm difficult to control? The larvae may do the damage but the adult moths ensure the rapid spread of the pest. Moths are very strong flyers, covering vast distances every week. If pushed by winds, they can fly up to 100 km a day. The pest, as devastating as it may be, isn’t always easy to detect. 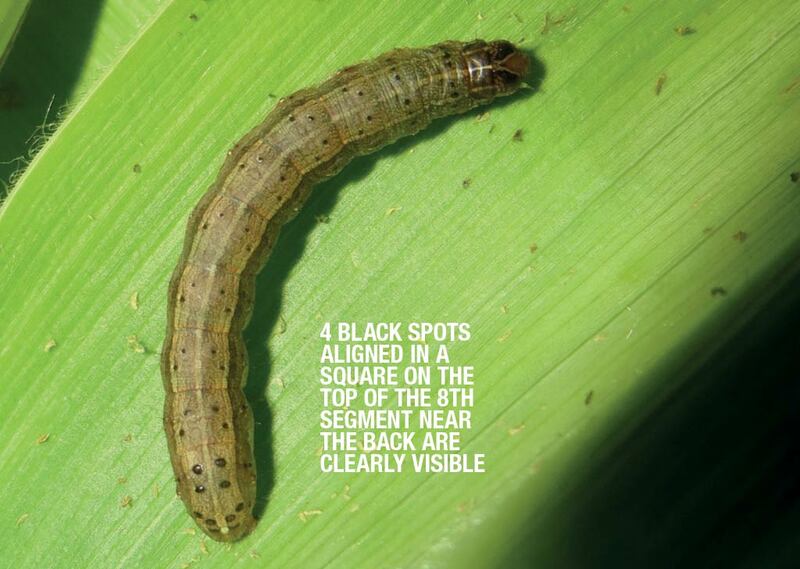 The larvae penetrate crops and feed from the inside making it harder to detect them. The pest reproduces at a rapid speed; an adult female can lay up to 1844 eggs/female (Barros et al. 2010), and several and overlapping generations occur every year. How to control Fall Armyworm? Syngenta has a broad portfolio of products that have shown excellent control of the Fall Armyworm in many crops, especially in South America where the pest originated. Controlling Fall Armyworm requires an integrated approach – there is not one product that will silence the pest indefinitely. Foliar pesticide applications, seed traits, good agronomic practices and seed treatment products are all part of the solution. FORTENZA™ Duo insecticide seed treatment, a product with two active ingredients – cyantraniprole and thiamethoxam targets a range of pests from the earliest stage possible and protects the plant for 30 days after emergence. FORTENZA™ Duo is especially effective on Fall Armyworm. The benefits of FORTENZA™ Duo? Seed treatments protect the seed from the start and can mitigate a few of the challenges that occur with foliar applications. Protecting seeds and young plants with an effective seed treatment technology from the very beginning gives the crop the opportunity to survive during the critical first days after planting, even under high insect pressure conditions. Less insect pressure: FORTENZA™ Duo will significantly reduce the pest present in and around the crop and will prevent them to reproduce. Less pest pressure will make the follow-up foliar insecticide application more effective. Less variety in insect lifecycle stages: FORTENZA™ Duo will kill the first occurrence of the pest in all larvae stages of the pest’s lifecycle. The generation of Fall Armyworm that occurs after 30 days – when the effects of the seed treatment have decreased – will be in the same stage of their lifecycle. They will be uniform and therefor easier to spray effectively. The lower insect pressure and the life cycle stage uniformity makes the first foliar application on a crop treated with FORTENZA™ Duo highly effective compared to the same foliar application on a non-treated crop.